Though many may think of the Amish lifestyle as something of the past, over 140,000 Amish thrive in communities in 22 different states today. The Amish communities live a sustainable life in large part because of their traditional agricultural practices, economic freedom and alternative healthcare practices. These three key factors allow them to disconnect from the strings that bind most of us to modern-day corporate, capitalist society. Research directly comparing Amish farming methods with modern American techniques revealed that the Amish model produces a higher yield, consumes less energy and creates healthier, chemical-free harvest. The Amish use traditional practices mixed with modern ideas, but they denounce modern technology and will not waiver on their strict socio-religious rules in favor of production. As a result, the majority of Amish farming practices heavily relies on hand and horse labor. Tilling the soil has a religious significance to the Amish based on their interpretations of the Bible. Researchers have become more interested in Amish techniques as modern farmers struggle to control insects, diseases and nutrient cycling. The modern-day solution to such sustainability issues has been to genetically modify most foods to become resistant to disease and insects. Amish farming methods also result in more cost-efficiency. For example, a comparative study conducted in 1988 found that an Ohio State University model resulted a cost of $393 per acre and the Amish model resulted in a cost of less than $50 per acre. Although the Amish agricultural method does not produce the large financial returns that modern-day farming provides, the higher energy efficiencies and frugal nature of the Amish tends to result in much greater economic security and stability. As a community, they are entirely self-sufficient and have no need to participate in today’s unstable fiat monetary system. If they need something from outside of their community, then the barter system is still an option. They achieve this economic independence in part because of the role family plays in Amish society. Each family member has a clear role and plays a part in the unit’s economic survival. The Amish do not purchase health insurance, but they do allocate risk through their communities. When a member of the community is seriously injured or ill, a collection will take place and neighbors willingly help raise money for the family to visit a modern-day doctor’s office. 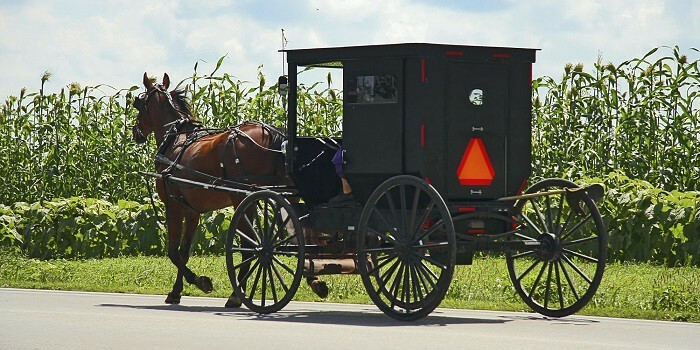 Within the community itself, the Amish focus on alternative healthcare options. Alternative medicine like herbs, poultices and slaves as well as alternative healing techniques like massages are common. Dr. Yuri Lee explains that the Amish often ask for non-conventional treatments even when they are receiving hospital care. One patient of hers, Samuel, requested burlap leaves to help regulate his pain rather than take conventional painkillers. The Amish stand in stark contrast to modern-day habits, lifestyle choices and submission to the state. The religious communities maintain a self-sustainable family unit and community by adhering to traditional agricultural practices, the principles of economic freedom and alternative healthcare techniques.